This study was conducted to evaluate two different therapeutic exercise regimens in patients with patellofemoral pain syndrome (PFPS). A multicentre, randomised controlled clinical trial hosted by three primary healthcare physiotherapy clinics and consisting of forty-two patients with PFPS who were assigned at random to an experimental group or a control group was conducted. Forty participants finished the study. Both groups were given three treatments per week for 12 weeks. 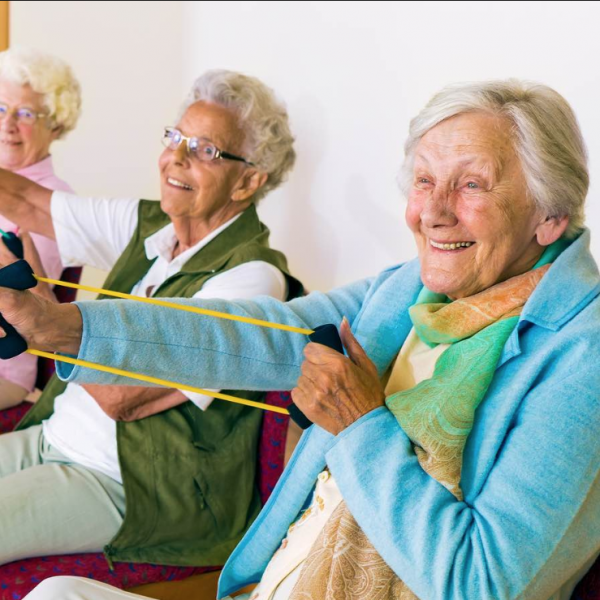 The experimental group was given high-dose, high-repetition medical exercise therapy, and the control group received low-dose, low-repetition exercise therapy. The groups varied in terms of number of exercises, number of repetitions and sets, and time spent performing aerobic/global exercises. Outcome parameters were pain (measured using a visual analogue scale) and function [measured using the step-down test and the modified Functional Index Questionnaire (FIQ)]. At baseline, there were no differences between the groups. After the interventions, there were statistically significant (P<0.05) and clinically important differences between the groups for all outcome parameters, all in favour of the experimental group: -1.6 for mean pain [95% confidence interval (CI) -2.4 to -0.8], 6.5 for step-down test (95% CI 3.8 to 9.2) and 3.1 for FIQ (95% CI 1.2 to 5.0). The results of the study indicated that exercise therapy has a dose-response effect on pain and functional outcomes in patients with PFPS. This indicates that high-dose, high-repetition medical exercise therapy is more efficacious than low-dose, low-repetition exercise therapy for this patient group. Østerås B, Østerås H, Torstensen TA, Vasseljen O. Dose-response effects of medical exercise therapy in patients with patellofemoral pain syndrome: a randomised controlled clinical trial. Physiotherapy. 2013 Jun;99(2):126-31.